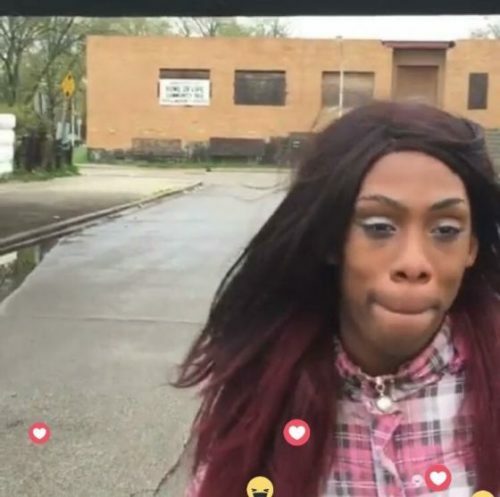 Another transgender woman has been killed, this time in Chicago. A 20-something trans woman known as T.T. Saffore was found dead on Sunday, the Windy City Times reports. Her death marks the 20th of 21 trans murders in 2016. The toll for all of last year was 22. [Chicago Police Department News Affairs Officer Michelle Tannehill] repeatedly insisted that the police do not currently believe that the victim was a trans woman. She said police were proceeding with investigation of the case as a the homicide of a man, and had no suspects or potential motive at this time. But Saffore was well-known in her local transgender community. Friends remembered her fondly at a vigil Monday in the neighborhood where she was found. “You could be going through a bad day, but once you saw [T.T. ], she was such a happy, cheerful person, all that changed,” Jaliyah Armstrong, told the Windy City Times. Armstrong, who had known Saffore for seven years, said that her friend got into an fight with a woman who threatened to kill her shortly before she died. Saffore didn’t report the incident, Armstrong said, because trans women on the West Side don’t trust the Chicago Police Department. She expressed concern that Saffore’s murder would remain unsolved, like those of two transgender women killed in Chicago in 2012. Saffore’s death is the 20th reported murder of a transgender person in the United States this year. Reported homicides appear to be on the rise, with 12 transgender people reported murdered in 2014, and 21 in 2015.